Belt scales are the most accurate and efficient way to measure material flow on a conveyer belt and can also be used for product dosing. 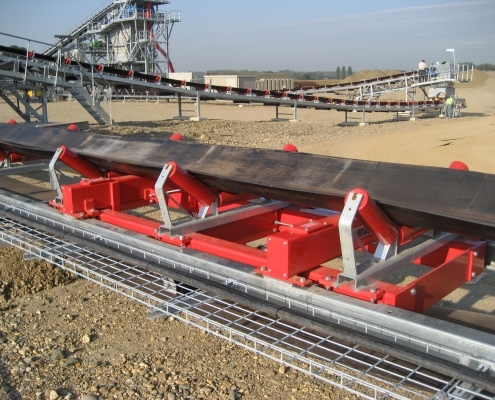 A belt scale consists of a weigh frame with one or more load cells, a speed sensor and a weigh processor. The weigh processor converts data received from the load cell and speed sensor into a total and weight per hour. The selection of a weigh frame and speed sensor is determined by the required accuracy, as well as belt speed, inclination and structure of the transport belt. Rice Lake Weighing Systems offers a broad selection of rugged and accurate belt scales. With six different models to choose from, Rice Lake belt scales provide a solution for nearly every application, including food, recycling, chemical, steel, animal feed and compost production, sand and gravel quarries, and harbor logistics industries. Now producers of every size can automate their processes and achieve more, thanks to MotoWeigh In-Motion Checkweigher and Conveyor Systems. Harness a range of MotoWeigh components and accessories and you’ll not only automate, but improve nearly every facet of your operation. MotoWeigh is helping producers tighten target weights, loosen profit margins, and improve quality and customer satisfaction with options like bar code readers and metal detection systems. These are just a few of the benefits you’ll discover when MotoWeigh gives your business a much needed edge over the competition. The advantages of MotoWeigh are as limitless as your business’s potential. Contact Rice Lake to learn more about what MotoWeigh can do for you. We help design a system as unique as your application, customized to the specific demands of each environment, wet or dry. 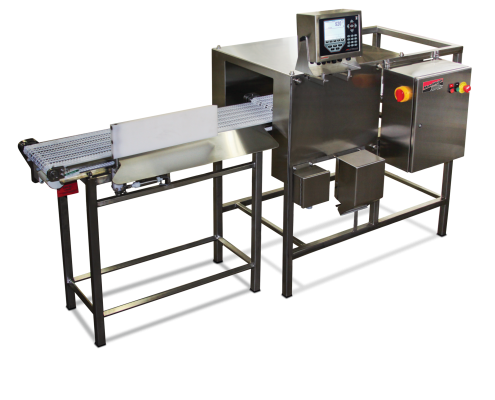 Cardinal Scale’s CIM Series Continuous In-Motion Checkweighers keep production lines humming, reducing labor costs, and providing accurate weights of each package to .05 lb increments. 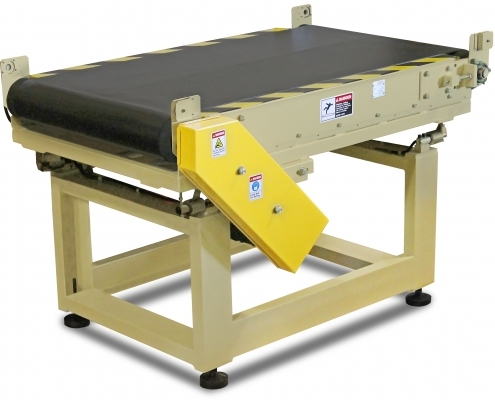 The CIM series features standard anti-static polyester fabric or optional food-grade conveyor belts with 1/2 horsepower AC motor fixed speeds of up to 120 ft/37 m per minute. The CIM series is available in 100 lb x .05 lb or 200 lb x .1 lb capacities, two different sizes, and two different types of indicators. The CIM series features enter and exit photo eyes, weight or zone classification modes, weight output to printer, simple setup and product changeover, average weight sampling, and they are height adjustable ±2 inches. Options include five-zone checking, variable speed controller, tower light with buzzer, alternate motor, and rejectors (takeaway arms to direct “off” weights to a separate area). 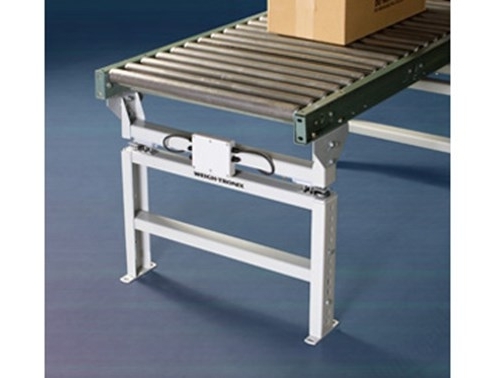 The modular system is designed to turn a conventional conveyor into an in-motion weighing system, adding functionality without adding additional space. This industrial scale system is made up of the Weigh Leg frame, which incorporates the weight sensors, a weight indicator, a photo eye kit (necessary for in motion weighing) and conveyor sections. When installed, the conveyor scale adds accurate and reliable weighing to new or existing production lines. The conveyor scale is suitable for checkweighing, conventional weighing and weight accumulation operations. Each system is custom designed for the specific application and available in either carbon or stainless steel, ensuring the scale fits perfectly into your operation. These conveyor scales are legal for trade, making them suitable for commercial applications where product is sold by weight.